For G.E. (George Edward) Smith, a soulful guitarist, composer, singer, and bandleader, it all began in rural Stroudsburg, Pennsylvania, where he was just about born with a guitar in his hand. “I started playing around the age of four, and started getting good at seven,” he says. “Eventually, the girlfriend of one of my Uncles bought me a Martin, a real good guitar, in 1959. Then when folk the music scene came around and Bob Dylan was first performing, I got really into that.” By chance he was attending a taping of the television show ‘Hootenanny’ in Princeton, New Jersey, and saw the legendary Odetta and Josh White perform, further inciting his musicality. On his 11th birthday, G.E.’s mother bought him his first electric guitar, a Fender Telecaster, a model that dated his birth year-1952. (“I still have that guitar, and there’s no sound that I can’t find in it.”) By then he was supporting himself as a musician, and playing in numerous situations–Pocono’s resorts, high school dances, you name it–often with musicians more than twice his age. After accomplishing all he could in the bar-band scene as a teenager, Smith left the Pocono’s to conquer the Connecticut. 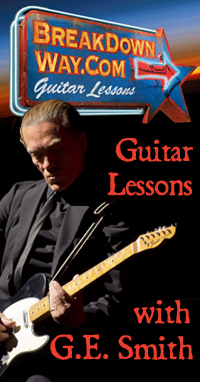 He quickly established himself as a “top gun” guitarist and hooked up with the legendary Scratch band, which scorched clubs up and down the East Coast during the mid-70’s. In late 1977, G.E. got his first break in the form of Dan Hartman, fresh off his hit “Instant Replay”. Dan hired G.E. to front his band for a “lip-synch tour” of Europe and the U.S. Upon his return to the East Coast, Smith moved to Manhattan and became the guitarist for Gilda Radner’s 1979 Broadway show “Gilda Live”. Radner and Smith became an item and shortly after married. Another fortuitous event was the Live Aid and Farm Aid benefit concerts in early 85’. I ended up being the house band backing Mick Jagger, Tina Turner and whoever didn’t have a band. G.E.’s hard work earned him a commanding position in the music industry as a first call blues/rock guitarist, sought out by major recording artists like Jagger, who, shortly after Live Aid, called Smith to work with him on his first solo album, She’s the Boss. (Smith also played on Jagger’s Primitive Cool.) During this period Smith also did a few one-off recordings and concerts with David Bowie, and Peter Wolfe, among other notables. The SNL roster of guest musicians read like a Who’s Who of contemporary music: Eddie Van Halen, Keith Richards, Rickie Lee Jones, Al Green, Bryan Ferry, et al. In fact, many of the best musical (surprise) moments came when G.E. invited guitar heroes to play with the band, unannounced. Eddie Van Halen was the first, followed by an amazing roster that included David Gilmour, Lonnie Mack, Dave Edmonds, Johnny Winter, Buddy Guy, and others. The Buddy Guy visit eventually resulted in the GE’s 1996 Grammy-nominated Buddy Guy – Live CD, with G.E. and the SNL band. “I’ve been so lucky to get into these fantasy situations… that happened over and over on “SNL”. I got to play with everybody. SNL also provided Smith with a songwriting opportunity when Mike Myers asked him to help write a tune. “Mike had this bit, called Wayne’s World, and he needed a theme song. Aerosmith was the musical guest that week, so Mike and I sat down and wrote a song that Aerosmith could sing and play along with.” Of course the “bit” became a hit film, the soundtrack (and song) a platinum-selling smash hit. During his SNL years Smith was also honored to be the musical director for special events such as the 1988 Emmy Awards, the 1993 Rhythm and Blues Foundation Awards and the Bob Dylan 30th Anniversary Concert at Madison Square Garden. The latter event was another of those “fantasy situations” that G.E. keeps getting involved in. “The rehearsals for that Dylan concert you wouldn’t believe. I was rehearsing with George Harrison in the morning, Eric Clapton in the afternoon, and Lou Reed at night. One afternoon, rehearsing the finale, I had Harrison, Tom Petty, Clapton, Neil Young, Dylan and Roger McGuinn all lined up and I’m saying, ‘OK, George you sing here, Eric you play now, Bob you come in here.’ Smith also has written with his friend and fellow musician Jimmy Buffett. Six String Music appears on Buffett’s album Fruitcakes. Smith acted as musical director at the Rock N’ Roll Hall of Fame Museum Concert in Cleveland. Following his departure from Saturday Night Live in 95′, Smith and his wife, singer/songwriter Taylor Barton created a critically acclaimed boutique label called Green Mirror Music. 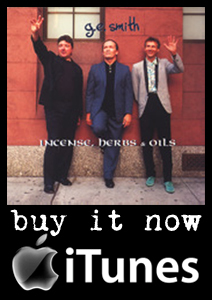 They are in their ninth year, releasing rootsy blues, neo-pop. Another highlight of Smith’s history was hosting an interactive show on the Electric guitar over the internet, on NPR, and a live presentation at for Smithsonian Institute. 1999-2000 brought Smith back to SNL, appearing in the 25th Anniversary show and other guest appearances. He was featured on VH1 in the history of SNL, and even hosted the New Year’s Eve bash inaugurating the new Rose Center at the Museum of Natural History, (formerly the Haydn Planetarium). 2007, catapulted a new DVD, titled 50 Watt Fuse, which premiered at the Mill Valley film Festival to a standing ovation. Co-produced, written and directed by his wife singer-songwriter, Taylor Barton, it features GE in concert and in cameo with David Lindley, Michael J Fox, Mike Myers, Hall & Oates, Rosanne Cash, Rodney Crowell, Jimmy Buffett, Mike Myers, Hot Tuna and Dylan. It celebrated the launch of the new GE Smith signature Fender telecaster, which hit the stores in 2007. He spent a few years working with esteemed financial guru/rocker Roger McNamee and their band, Moonalice. Electrified: The Guitar Revolution hits airways this August for the new Smithsonian network. GE joined Roger Waters 2010 WALL LIVE toured the world three times and has just celebrated the 40th SNL anniversary where he received an EMMY awaed as bandleader. Smith .has played with the broadest possible spectrum of artists, from Red Buttons to Allen Ginsberg, from Desmond Child to Bob Dylan and Roger Waters; all points in between. “I’ve had an incredible ride in the world of Rock N’ Roll and American music,” says Smith, looking back over his career. 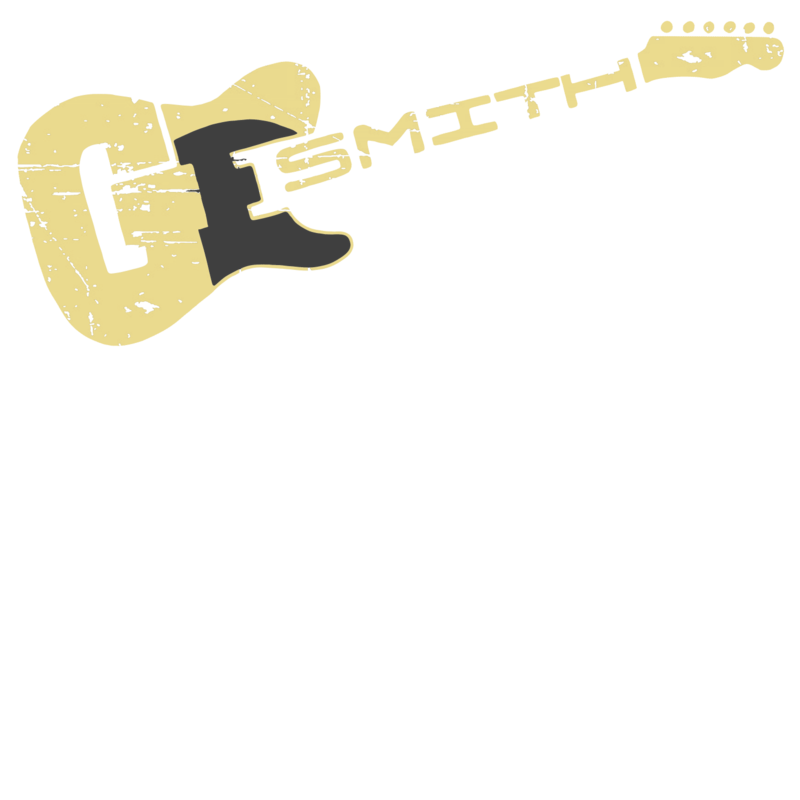 GE Smith is one of the most brilliant guitarist’s out there. My wife and I were at the Detroit area “The Wall Live” show. Not real close to the stage (off to the side). But close to the end of the show when you guys were all out at the edge of the stage. I recognized you from your SNL days. So ere I am reading up on you. Quite an extensive career. I must have been quite the honor to be on the Water’s tour. I have seen a lot of shows in my 50 years. And I have been quoted to say that that show was the musical event of my lifetime. The isn’t even one of my favorite Floyd albums. But I am ruined, I will never see a show that will top that. My son has been taking guitar lessons for the last couple years. Its still a little bit of a fight to get him to practice. So he’s getting a new acoustic electric guitar for Christmas. I hoping that will build his interest a little more. Any suggestions? Just wanted to send a note to G.E..My sister & I saw you at Bergen Pac w/Hot Tuna.I just have to say that I am honored to here you play.After reading your bio,it enhances the feeling alittle more.KEEP ROCKIN!!! Hi Goerge..don’t know if you remember me Beverly Bolcar Koberlein…I was catching up on your career in the ‘remember Strousburg group….just wanted to say hi and congrats on a very impressive career ! Man i remember seeing you play on SNL and think to myself who is this guy. Nils Lofgren but i was wrong.Of course Jorma had just come out with Hot Tuna which was an incredible band. and Steve n Bill Petrone.Many a nights spent in clubs. for others to search out and explore.I new the face and the choice equipment but never your name. Glad i am getting this opportunity to reconnect and listen to your incredible ability. sure opens ones heart.Of course we all learn mountains of stuff from the great Jimmy Page. There is something about the heart of a guitarists that resonates through his music. I met G.E. years ago at his house in New York, to give an estimate on some work for him. I knew who he was, his talent, his accomplishments. G.E. is one of those people who made it, yet still has his feet on the ground. He is a super person that gives his all to his family. Possibly a different side of him that most don’t get the opportunity to see, but those who do, have the highest regard for him. Good for you G.E. Wishing you all the sucess in the world, you’ve earned it, desere it and know how to handle it. Had to read up on you. Been watching Bob Dylan’s 1990 birthday concert over and over and you are in EVERY shot. Finally had to find out ‘who is that guy?’. Turns out i also saw you playing The Wall in Oslo 1st april 2011. Great stuff !! I met GT in the Vet hospital in East Hampton, NY with his wife Taylor and one of their cats who was not feeling to well. I remember that the cat was so uncomfortable and GT was trying to comfort his pet, then it bit him in his hand and my heart just about came out of my mouth. All that went through my head was “was OMG, his playing hand”. I was the tech for Dr Teretsky at the time. GT was a real trooper and played that night with a bandage on his hand. I know because I saw him on SNL that night. God Bless you GT and Taylor. Wish you both all the best. Toad’s Place seemed to be an endless musical trip, a smorgasbord. Oh but I was so much younger then!! Hey G E, Just read your bio. What a great story. I saw you at at Hall & oats show in 1979 in Dallas Tx at a very small venue. You got on my table and played like a crazy man. What a great show. Years later i watched as you made your way through many different bands. Thanks for sharing your great talent. All of you guys are so nice. I am so glad you are reading my website. To Bill Howell, I totally remember. You had a rockin vibe and a sweet haircut. Stay that way. To DG in Vermont, I love that vet. I was so scared. You made it better, stay that way. To Brad Alexander, rock on man, rock on. Watching the 30th anniversary Bob Dylan concert and saw this guy that I just knew I had seen before and finally found G.E. Smith by eliminating some of the other backup guys. I guess my old memory took me back to Saturday Night Live. I would like to get your opinion on THE TWIN Stratocaster (Hint: no one is wiring the pickups properly.) Polished fret wires for smooth bends is just the beginning. I bet you $20 you’ll admit it’s the most versatile guitar you have ever tried on. But, only if you like what you hear will I ask for your advice on it. Fly into Ontario, CA on any Sunday or Monday (my days off); bring some curiosity with you! GE is such an incredible talent. I love watching your interview where you say that you and T-Bone were “catchin it” when Keith Richards was on SNL! I may be mistaken, but, didn’t you own a Pontiac Grand Am…i think it was a 74 and maybe White? When I was younger….a lot younger, I worked at a shop in Flushing NY and was told it was yours. I was always wondering if that was true or it was just said to mess with me. Always was a fan. I just had the honor of seeing and meeting you at the Berks Guitar Fest. It was really a thrill for me to meet the man I’ve been watching and listening to for 40 years. I brought my red ’69 Tele and you commented on the color. I’d like to get Green Mirror contact info for an album I’m working on with my friend Bob Noble. You’d love his music! We all need a break some time! Watching the 30th anniversary Bob Dylan concert on dvd witch I think is one of the best live concert ever, I looked up your amazing biografie. Man o man what a amazing rollercoaster of music happenings! Big respect how you performed and directed that show and playing with all these great artists of whom unfortunately a few of them have left us far too early! Thank you for that grat concert and all other performences! Stay healthy and keep on rocking!! Loved you on SNL, you don’t just play the guitar, you perform the guitar. Miss you on SNL. Happened upon the tribute to Bob Dylan at MSG on AXStv this afternoon and it’s been amazing. Your career has always impressed me every time I happened to see you performing somewhere else. You’ve had quite an impact and incredible experience. Happy to see you still playing and being appreciated for your gifts. I met you at ESU in the student union in 1970 and you’ve been had quite an exceptional life since then. I’ve enjoyed every encounter with your successes. Best wishes. G.E. – I have been a fan since your Hall and Oates days. Still rockin somewhere, I hope.